Lowdham station (between Newark and Nottingham) retains much period infrastructure, including semaphore signalling and a fine station house (now a private residence). These can clearly be seen in this view taken on 28 July 2008, which shows 156406 departing with the 12:31 Lincoln to Leicester East Midlands Trains service. 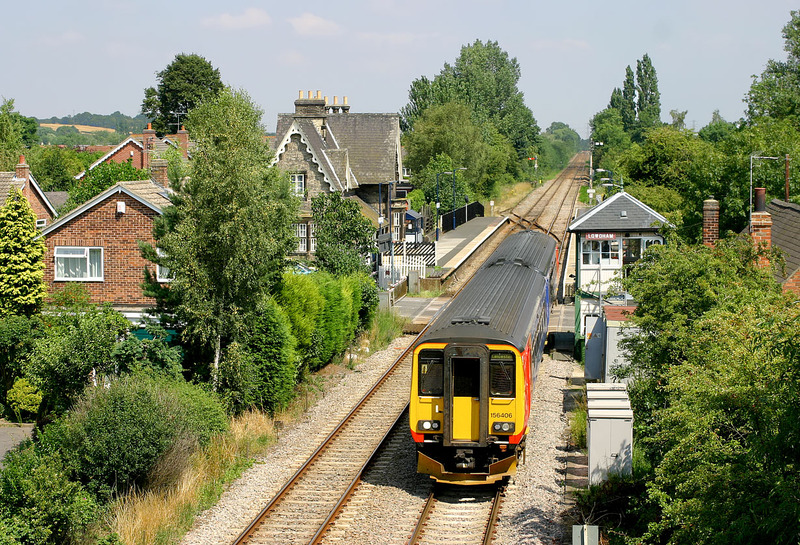 The main Doncaster to Leicester road used to pass through the village and over the level crossing in this picture. This has long since been bypassed, which created this fine viewpoint from the new road bridge.